A compact condenser designed for easy and reliable porcelain condensation during porcelain veneering of all-ceramic and metal-based restorations. Use of high frequency micro vibrations enhance condensation and ensure that the micro-fine particles are densely packed to prevent deformation of the layer structure. Ultrasonic vibrations improve porcelain substructure, removes air bubbles, increases density to minimize shrinkage and cracking during firing. 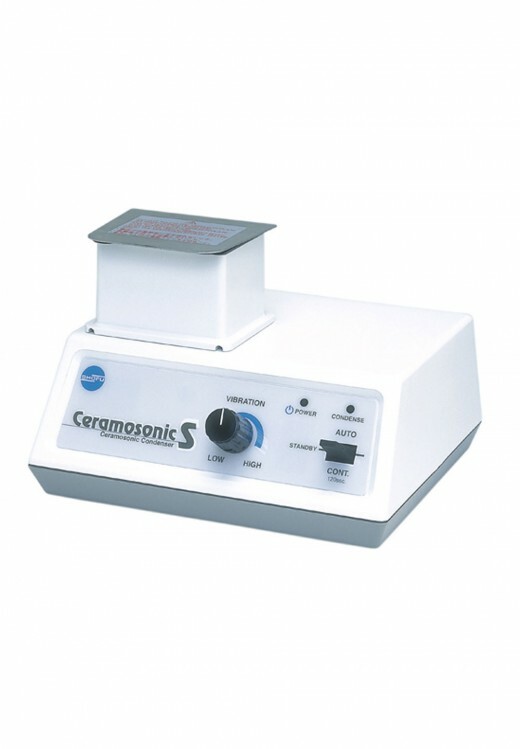 It includes a touch sensor for ease of operation and ideal for use with all ceramic porcelain materials to minimize firing shrinkage and offers both auto and continuous mode.